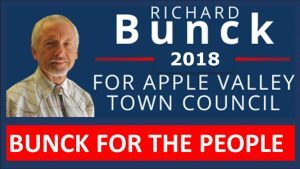 “Apple Valley is a great community in which to live. I am honored to call this town my home. A friendly community, it's easy to understand why so many families have made Apple Valley their home as well. Theme: Bunck by IT Magique.